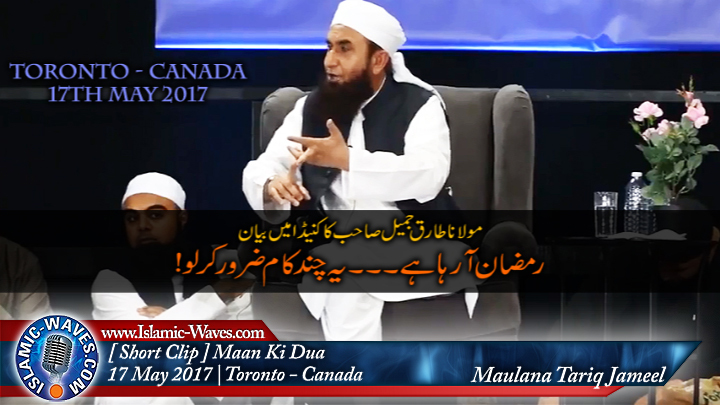 Maulana Tariq Jameel Sb bayan on Ramadan at Toronto Canada highlighting some deeds which every Muslim should perform before Ramadan begins to get most blessings. I am a muslim and I love Maulana Tariq Jameel Sahabs bayans. He makes Islam so easy, may ALLAH turn us towards the right path before we turn to him. maulana Tariq Jameel is the most famous religious personality among many muslims. He is motivation for many people. Many pakistani artists changed their lives because of him.